In the State of Georgia, to obtain an uncontested divorce, the process can be fairly simple or very complicated, depending mainly on the attitude of the parties, as well as, the issues involved. Georgia permits an uncontested divorce to be finalized in as soon as thirty-one (31) days after the divorce action is filed. However, complications may arise if the parties have failed to discuss their intentions openly and objectively. Far too often one party desires the divorce, wants the divorce to be "uncontested", but has not even mentioned the divorce to the spouse. This complicates matters because none of the issues have been discussed (e.g., custody of the children, the marital home, joint debts, investments, and division of assets, etc.). Accordingly, to facilitate the "uncontested divorce", both parties should discuss the issues and seek to reach an agreement with a minimal amount of animosity. If there are minor children born of the marriage, the parties should concern themselves with what is in the "best interest of the minor children", not what will cause the other party to suffer the most. If there are a few remaining issues that the parties need guidance on, an experienced attorney can steer the parties in the right direction on any remaining issues. Once an agreement is reached on all issues, both parties must sign a "Settlement Agreement" whereby all issues pertaining to the divorce are addressed, including but not limited to: child custody, visitation, division of property, division of marital debts, alimony, etc. A "Consent to Trial" should be signed by both parties enabling the divorce action to be finalized in thirty-one (31) days after filing, or shortly thereafter. If there are minor children born of the marriage, most jurisdictions require the parties to attend a "parenting seminar" which typically lasts no longer than four (4) hours. Additionally, in cases involving minor children, both parties are required to complete a "Domestic Relations Financial Affidavit" from which an electronic "Child Support Worksheet" will determine the child support contribution from the parties. The "Complaint for Divorce" will typically indicate that the grounds for divorce is that the marriage is "irretrievably broken" (meaning there is no possibility of reconciliation). At the hearing on the "uncontested" divorce action, the Defendant is not required to appear. The Wife may be restored to her maiden name if she desires, and the "Settlement Agreement" will be incorporated into the Final Judgment and Decree of Divorce. 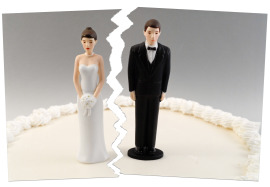 Once the divorce is granted, if either party violates or fails to comply with the "Settlement Agreement" which has been incorporated into the Final Judgment and Decree, the offended party may file a "Motion for Contempt" and seek attorney's fees or incarceration of the violating party. If the divorce is a “contested action”, upon filing the Complaint for Divorce and serving the Complaint and Summons upon the Defendant, the Defendant has thirty (30) days to file an Answer (most “Answers” in contested divorce actions also include Defenses and a Counterclaim against the Plaintiff). Many judges will immediately require the parties to make a good faith attempt at Mediation to at least try to resolve as many issues as possible. When minor children are involved, the parties will be ordered to attend the Parenting Seminar before the divorce can be finalized. A Temporary Hearing (also known as an “Interlocutory Hearing”) is typically held which allows the parties to seek relief on a temporary basis, such as: child support, alimony, division of monthly bills/debts, visitation, etc. Once a Temporary Order is entered, the parties will be required to abide by the Temporary Order until a Final Hearing has been held, at which time the judge will issue a Final Order resolving all issues pertinent to the case. And, of course, if either party violates the temporary order, the injured party may file a Contempt action against the wrongdoer and may seek attorneys fees and/or incarceration. Once a Final Order has been entered, either party may petition the court for a Modification of the Final Order if circumstances have changed or continuous violations of the Final Order have occurred.